Our goal is to connect people with the best local experts. We scored wedding photographers on more than 25 variables across five categories, and analysed the results to give you a hand-picked list of the best wedding photographers in Marlton, NJ. Allison McCafferty Photography is a New Jersey wedding photographer. In addition to working over the entire state of New Jersey, including the Jersey shore, Allison also does location shoots in Pennsylvania. She chose a career as a wedding photographer because it allowed her to document love stories. Allison enjoys photographing moments as they naturally happen, with minimal intervention. Her wedding shoots capture images from more than one angle because Allison works with an assistant and a second photographer at each event. Complimentary engagement sessions are included with most wedding packages. Allison’s photography has been featured in numerous publications, including The Knot Magazine, NJ Bride Magazine, and Contemporary Weddings. Allison also photographs families and children. Ambar Moreno Photography has been offering wedding, engagement, and portrait photography in Voorhees, NJ for over a decade. Their goal is to act as storytellers by capturing every important moment that makes each wedding unique, special, and lovely. Keeping their clients' needs, requests, and suggestions in mind, they hope to be as accommodating as they are creative. Clients have spoken highly of the ease and comfort that Ambar Moreno Photography is able to help offer during even the most stressful events. They offer a wide range of wedding packages that vary in cost and coverage in order to fit each client's needs and budget. Based in Mount Laurel, NJ, and serving clients throughout New Jersey, Philadelphia, and Delaware, Louis Anthony and his team at Art Work Photography specialize in photojournalism and fine art photography. As owner and principal photographer, Louis emphasizes finding beauty in portraiture by pushing the limits of convention and strives to elicit responses from clients. He photographs a variety of significant milestones, including weddings, engagements, and couples, as well as social and corporate events, holiday parties, family portraits, and general group settings. He offers session and package information, rates, and direct booking through his website. Many sittings include a free consultation, and Louis Anthony and his team are available for international travel. Rey Caparros Photography and Cinematography's owner Rey learned the art of wedding photography from some of the Tri-state area's top wedding photographers. Now, Rey's business calls Sicklerville, New Jersey home, but the company serves clients throughout New Jersey, Pennsylvania, Delaware, New York City, and the world. In addition to wedding photography, Rey Caparros Photography and Cinematography offers sessions for family portraits, engagement photography, children's photography, high school senior photos, fashion photography, and, of course, videography. Rey Caparros Photography and Cinematography is a member of the Professional Photographers of America and the Guild of Professional Photographers of the Delaware Valley, Inc.
For over 20 years, Joseph Clementi, an award-winning wedding photographer, has been serving the New York, Philadelphia, and New Jersey area. Joseph aims to create a fun environment to capture the natural and joyous moments of the wedding day. He utilizes a mixture of photojournalism, portraits, and still life details to tell the story of each wedding. Joseph, with the help of his assistant, photographs both weddings and portraits. Customers are very complimentary of Joseph's talent and his friendly manner. They love their photos and appreciate how at ease they felt on their big day because of Joseph and his assistant's approach. Nicole Cordisco works as a photographer who has ten years of experience taking pictures of couples and families. She is a professional wedding and portrait photographer who serves residents of Mount Laurel and the surrounding region. She believes she turns moments into memories through careful attention to detail and enjoys getting to know her clients to create individualized experiences that are unlike any of her previous photo shoots. The company allows people to customize their wedding photography package to suit each individual’s needs and desires. Interested persons can peruse the Nicole Cordisco Photography’s many different portfolios to find a quality and style which work for them, and will receive pictures at the end of their session which are fully edited and retouched. Pagano Photo is proud to provide high-quality photo and video services at competitive prices. The company offers sessions for dance photography, sports photography, party and event photography, headshots, and portraiture for groups as well as individuals. The company is fully insured to provide clients with an extra level of peace of mind. Packages at Pagano Photo are as varied as the number of clients and session types. Some features of Pagano packages are proof photos in online albums, a CD of high-resolution images, physical prints, and video on BluRay, DVD, or digital platforms. Pagano Photo also offers restoration services. Soult Studios & Events is a wedding photography studio based in South Jersey. They provide comprehensive photography services for weddings which include bridal shots, groom shots, detail shoots, engagements, family, friends, décor, and couple shots. Their work is highly regarded, having earned consecutive awards from wedding websites such as The Knot and WeddingWire. In addition, they have been featured on websites such as Borrowed & Blue, Philly.com, Cheesesteaks & Soft Pretzels, New Jersey Bride, and Philly in Love. 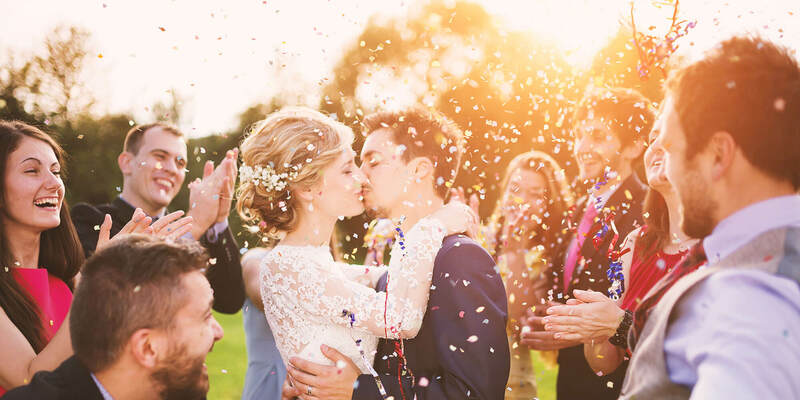 They take great care in their approach to every couple’s wedding, which is something reflected in their positive reviews on both WeddingWire and Facebook. For interested clients, an extensive portfolio of their work can be found on their website.